Alloy wheels are widely used by car lovers because of their elegant and stylish look in today’s modern cars. They are strong, light, classy and fashionable. But their open design exposes them to a lot of dirt, grime, sand, and other road impurities which can accumulate over time. It could be worse, particularly if you drive in a desolate area where road salt can cause pitting, corrosion and permanent damage to your expensive wheels. There is a need for the best wheel clean. 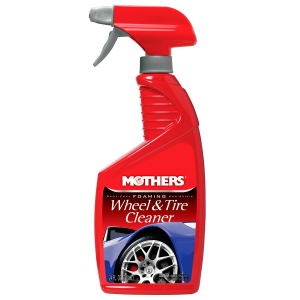 Mothers® Wheel company is a manufacturer of automotive car care products. The number one leading company has been in existence for years now and they are known for their high-quality products. The company is currently headquartered in California and distributes its products in more than 80 countries. Mothers® Wheel Cleaner produces an acid-free spray solution for both rims and tires including whitewalls and black walls. Their cleaner is safe for color coated, painted, steel, clear coated, chrome, modular or factory coated wheels, and hubcaps. The company remains the leading manufacturers of the cleaners for tires and wheels. When it comes to choosing the best automotive cleaner, the Mother’s product should be your number one pick. This wheel and tire cleaner work correctly for your wheel, just use a simple brush to scrub gently and apply the product then wash away. The product is safe to use on OEM/ factory wheels. You can be assured of best performance when using the Mother’s wheel and tire cleaner. The best thing about this cleaner is the ability to remove dirt, grime, debris, oil residue, stains and other ugly dirt faster and cleaner than any other product on the market. The Mother’s wheel cleaner works wonders in cleaning brake dust and restores the wheel and tire to its original finish. The product remains the best in the market that offers high performance with an affordable market price. When it comes to stylish products that are made for car lovers, then the Mothers foaming wheel and tire is the best. This product comes in a 24oz spray bottle that is easy to use. The cleaner is designed specifically for OEM/factory coated wheels and can be used on most surfaces. It is a great foaming spray that will work on steel, clear-coated, modular chrome, and color coated surface. Mothers Foaming Wheel & Tire Cleaner works perfectly well in taking care of grime and dirt that has built up over time. Apply the cleaner on the surface and wash gently. The dust and grime wash away in no time. The smell is pleasant, and the formula won’t cause damage to your rims and tires. The Mothers Foaming wheel and tire cleaner remains the best in the market. With an average 4.0 customer star rating, these brand’s cleaners remain affordable for budget-conscious customers. Size: Foaming Wheel & Tire Cleaner, 24 oz. Mothers® Wheel Cleaner will surely get the job done. The acid-free solution will give your wheels the shine they had when you first purchase them. 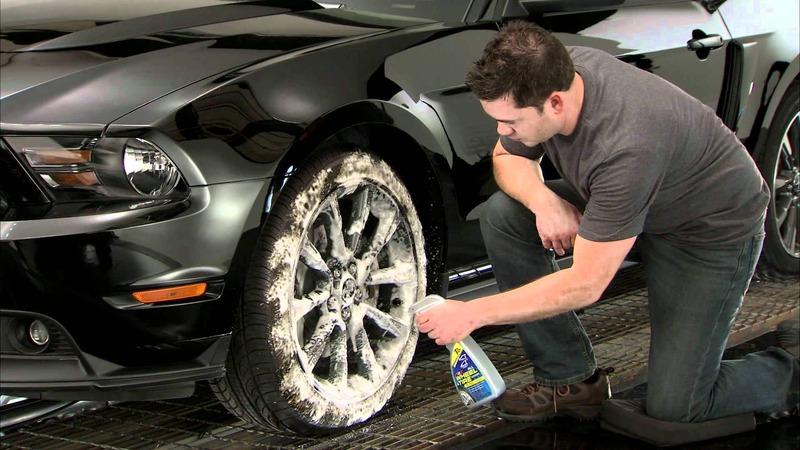 The spray won’t cause any damage to your rim, clean all form of grime, dirt, and sands. Spray and clean softly as the fast-acting formula dissolves all form of dirt and grime. Safe and easy to use, the Mothers wheel cleaner remains the best in the market. This cleaner is absolutely a relief for drivers searching for the best wheel and tire cleaner. For drivers who love to travel but can be exposed to oily grime and dust, it offers a possibility to restore their elegant wheel look with the best product in the market.